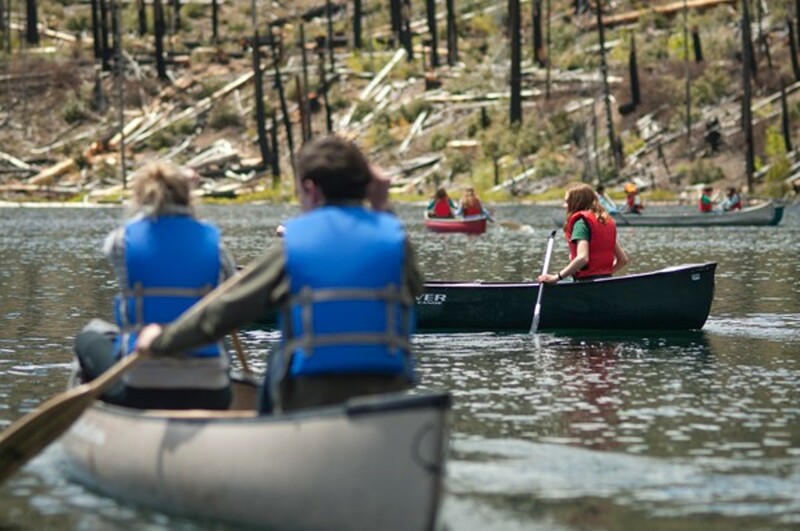 Two years ago, just one quarter of Bend-La Pine students got to attend outdoor school. By the end of the 2015-2016 school year, every student will have that opportunity. And advocates with the Oregon Outdoor Education Coalition are hoping to build on that success and expand access for students across Central Oregon and the state as a whole. 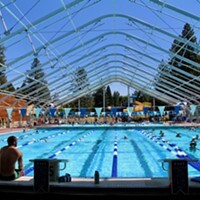 "At this point, Redmond and Madras School Districts, due to funding needs, are not able to send their students to outdoor school but are hopeful this will change as we work to secure a permanent funding source across Oregon," explains Statewide Coalition Coordinator Caroline Fitchett, noting that Sisters and Prineville students attend as funding allows. The coalition's efforts have the blessings of the State Legislature, if not the funding. This spring, they passed Senate Bill 439, known as the "Outdoor School Bill," which established a commitment to Outdoor School. However, that bill didn't come with a sustainable funding source. That's where the Outdoor Education Coalition comes in. The group hopes to secure reliable, sustainable funding to give all students the chance to participate in overnight, outdoor education programs, like the ones held at Camp Tamarack outside of Sisters. 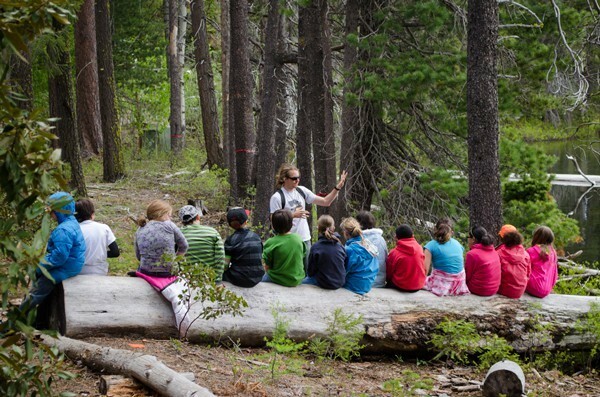 "Outdoor education has been an Oregon tradition for over 50 years, yet today less than half of all Oregon students have the opportunity to participate in any type of outdoor education program," says Linda "Bo" Bonato, a retired Bend-La Pine science teacher and coalition member. The last time participation was measured, in 2012, only half of Oregon students attended an overnight Outdoor School program and ten counties saw less than ten percent participation. Local efforts to turn this trend around are a testament to the role outdoor education plays in the lives of children and communities. "Today, outdoor school is almost entirely funded through community partnerships and local fundraising efforts," Fitchett says. "Despite the fact that here is no stable or permanent funding source, many schools have teachers, parents, and community members working tirelessly to raise the funds needed so kids can attend outdoor school." In Crook County, Fitchett explains, the community managed to keep the 58-year tradition alive through a six-year grant and other local fundraising efforts. With help from the local Outdoor School site, Camp Tamarack, to lower the cost of attendance, students will get to keep an experience that some call a rite of passage. Without outside funding, students have to pay $175 to attend three days and two nights of outdoor school at Camp Tamarack, a cost that's out of reach for many families. Since the camp opened last year, participation levels in Central Oregon have nearly tripled, from 26 to 75 percent. "Many schools simply will not consider participating unless they know every student can attend," says Camp Tamarack Director Charlie Anderson. And while the camp offers sliding scale scholarships made possible by cobbling together a variety of funding sources, "a contribution on the state level would ensure this experience for these kids." And that experience is more than a walk in the woods, or an extended recess. It provides students with a living laboratory in which to learn about the natural world and develop leadership skills, particularly for students who return as counselors. "Those living in rural Oregon understand the important connection between our economy and our natural world," Anderson says. 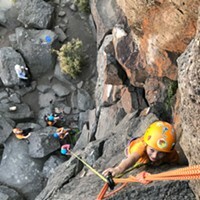 "At Outdoor School, kids learn about and how to connect with the place they live, as well as gain understanding of the importance of Oregon's natural resources through hands-on, science-based field studies." And the students not only enjoy the experience, they recognize the impact it has on their personal and academic growth. "Tamarack is given a handful of terrified student leaders and over a hundred hyperactive fifth grade students. It returns a handful of confident adults and a united understanding group of prepared middle school students. What happens in between is what I call, The Magic," says high school student leader Taylor Richards. "In a matter of a week there is a complete turnaround in attitude, respect, and self-confidence for every individual involved. The amount of personal growth I witnessed in my time at Tamarack was inspiring." In an effort to keep that inspiration flowing to all Central Oregon students, the Coalition's Central Oregon Regional Network is hosting a fundraiser featuring stories from students and community members, drinks and apps, and an auction (as well as the opportunity to make something called "wood cookies"). All proceeds will go toward securing stable funding for outdoor school programs. Neil Kelly Design Center, 190 NE Irving Ave.